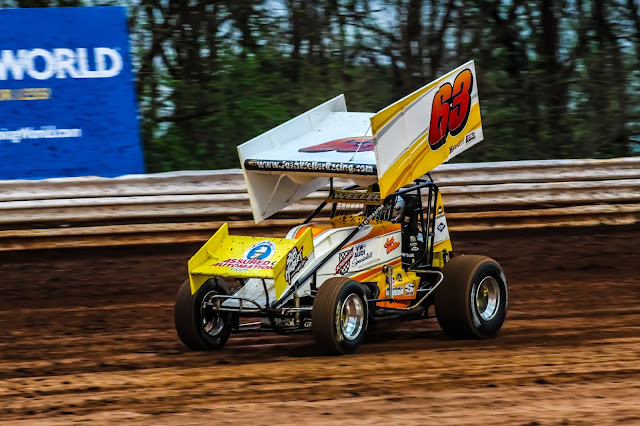 MARCH 21, 2019 – With the 72nd United Racing Club season opener less than four weeks away, time is dwindling down as drivers hustle to get their cars ready for the 2019 season. And one driver in particular is looking to carry the momentum from his championship-winning 2018 campaign into the new season. Only running 11 races thanks to Mother Nature, Weller was able to capture three wins and showcased impressive speed throughout the entire season, culminating in his first series championship. Weller has been working to put a team together for three years, including both people and equipment and he said 2018 was the year where all the pieces of the puzzle were fit in the right order to make it all work. And there’s no doubt that earning his name a place on the URC champions' trophy gives him a bit more confidence heading into 2019 – but that boost of confidence also comes with added pressure. Weller will run the full URC schedule, possibly adding a few extra shows to the schedule toward the end of the season depending how the year shakes out. Weller said he enjoys racing with the Capitol Renegade United Racing Club because it allows him the opportunity to travel to various tracks. Weller’s No. 63 sprint car will hit the track at Bridgeport Speedway for the season opener Sunday, April 14. Racing begins at 5 p.m.